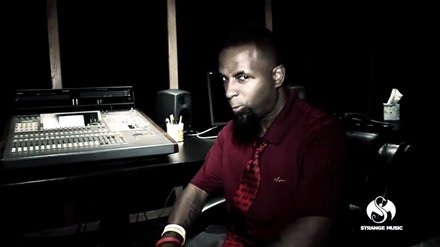 In this video, Tech N9ne gives fans a teaser clip of what to expect from the upcoming Tech N9ne Collabos album Welcome To Strangeland. In animated fashion, Tech N9ne raps along to the playback of the song “Unfair”, a hypnotic blend of a threatening groove and swirling instruments featuring Krizz Kaliko CES Cru. Tech spits his bars for the camera, and from the sound of things, Tech’s music is somehow still getting better and better.